So the decorations are back in the basement, your gifts have been unwrapped, and the home’s back in order. But things aren’t right with your finances. 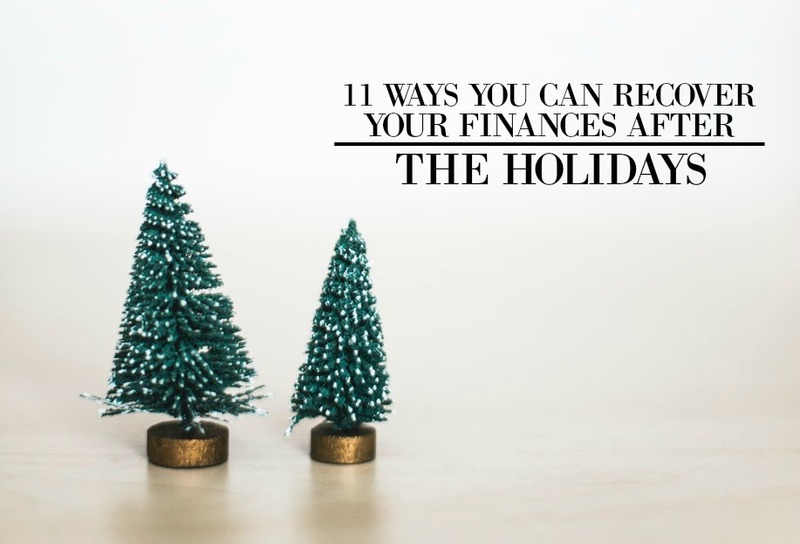 However, there are plenty of easy and smart ways to get your finances back on track after the holiday expenses. And down below are some tips and ideas that will help you get things straightened up. This will help reduce your stress and get you ready for the rest of the year. First and foremost, sit down and take time to assess your current financial situation. Write down your spending, credit standing, debt, and budget. This will give you an insight into everything you need to know. Then write down your short and long-term goals for how you’ll get out of holiday debt and improve your finances during the rest of the year, as well as the date you want to get there by. Try to analyze which debts need your immediate attention. Then figure out which payment strategy will work for you and assess how it will affect your finances. You want to be prepared to budget correctly to make sure you’re never late on payments. After removing all your debt, start to change up your budget to match what is and isn’t going out now. Put yourself on a financial diet and stick to your budget no matter what. This will help prevent future stress. Look at your spending and see how you might have overspent and what you could save more on next Christmas. Was there something you bought too much of? Could you have saved more with decor and other holiday expenses? It’s always great to analyze how you can do better next year so you can save more. If you have the extra time, look into some opportunities to earn more money from a side hustle. Some of them can be done in the comfort of your own home making it total win. Also, try to go through your closets, cabinets, or storage, and sell things you don’t need online or in a garage sale. It’s a great way to pay off that holiday debt. Another simple way to recover from your holiday spending is by increasing your savings and decreasing your debts. Think of the different ways you can save. So for instance, instead of spending money on concert tickets, visit a free museum and take advantage of free activities in your city. Try organizing a potluck dinner and avoid dining out. There are so many options! The money you save over time by cutting out unneeded expenses can help you get out of debt faster. Don’t forget to use your tax returns and bonuses wisely. Think of them as a reward to help you boost your income, get out of debt, and meet your financial goals. Once in a while, make it a habit to review credit card options. Check to see if there are ones that have rewards that will help you towards paying off your holiday purchases. It always good to be looking for options that will help you out. Seriously, we’ve all experienced getting gifts that we never use. So instead of storing them or letting them collected dust, turn them into extra cash. Sell them online and use the money to pay off your holiday debt. Setting a holiday budget ahead of time can make sure you have enough funding for the next holiday. For example, whenever you get paid, keep $30 back. Before you know it you’ll have a great holiday budget for your gifts. The earlier you start saving money the bigger of a budget you’ll have. It’s never too early to shop for holiday gifts. Doing holiday shopping ahead of the season will save you so much time and money. Write down all of the people you need to buy for and start listing ideas for potential gifts. Then keep an eye out for those gifts over the course of the year so that you don’t have to pay holiday prices. Seriously, the new year is always a great time to catch up on your finances. And I hope that after reading this post, you’ve found some helpful ways to get back on track. We all need some help in the beginning of the year, and I know that these tips are perfect for just that.